Chambery has been the historical capital since the 13th Century when Amadeus V, Count of Savoy, made the city his seat of power. 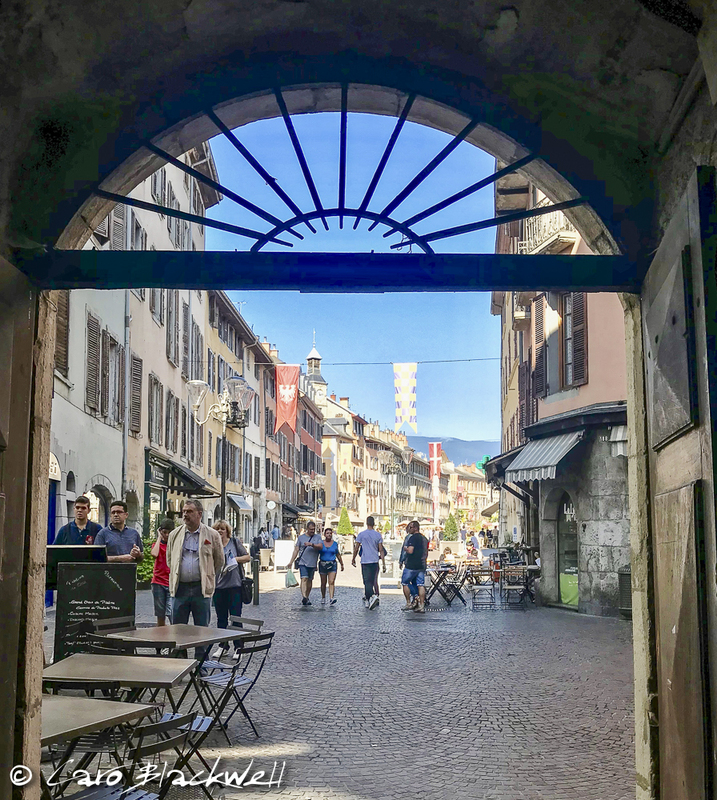 The city has a population of around 60,000 and is situated in a wide valley between the Massif des Bauges and the Chartreuse Mountains on the Leysse River. Just to the north of Chambery is Lac Bourget the deepest lake in France and the largest. Chambery is an attractive and lively town with an interesting history, wonderful old town and many landmarks to visit. Not to mention a good selection of restaurants and cafes. The old town has many cobbled streets and beautiful medieval buildings and Traboules which are shortcut alleyways linking the streets. They are reminiscent of the Traboules of Lyon. The Place Saint-Léger is the main area of the old town and all down the Rue Saint-Léger was a wonderful brocante the day we visited. This Brocante (flea market) is held on the 2nd Saturday of each month. This cathedral has one of the biggest examples of Trompe L’oeil paintings in Europe around 6000m2 by the 19th Century artists Sevesi and Vicario. The Cathedral was established in 1799 but built in the 15th Century. Having been extensively defaced during the French Revolution the interior was completely renovated in the 19th Century. This is a 17.6 mètre high fountain built in honour of Général de Boigne who dedicated some of his wealth made in the East Indies, to the town of Chambery. The fountain features four elephants but only their fronts, so the fountain is fondly known by locals as the ‘quatre sans cul’ which literally translated means the 'bumless' four. The Fountain is situated at the top of the Rue de Boigne. It was fun to sit out on the terrace of The Ernest Patisserie and café at 49 Place Saint-Léger and watch the sellers and buyers at the Brocante. We found very good coffee at a Scandinavian designed café called Café Initiés with a small square to sit outside on a pretty small back street called Rue Derrière les Murs. This wouldn’t be a Taste of Savoie guide without a good lunch. I narrowed my list down to three places which all looked wonderful and I plan to go back and try the other 2. The place we chose for lunch was L’Atelier, 59 Rue de la République and had a covered outdoor terrace which was perfect for this late summers day. Lunch was the menu du jour reasonably priced for 3 courses at €21,00 or choice of an entrée and plat or plat and dessert for €18,00 (prices correct at time of writing September 2018). 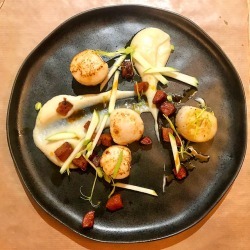 The Chef proprietor Gilles Hererd has been at L’Atelier for 10 years after being responsible for the opening of Kilimandjaro in Courchevel, now renamed to K2. During his career, he has worked under some very well known chefs including Paul Bocuse and Alain Ducasse. The other 2 restaurants that I want to try are both Bib Gourmands from the Michelin Guide. La Maniguette and L’Emulsion and having checked out their menus and interiors they look great. Chambery is about 40 minutes from Annecy and an hour from Geneva by car. There is plenty of parking all around the perimeter of the old town. There are many more interesting sights to explore including The Chateau des Ducs de Savoie which is a group of buildings constructed between the 13th Century and current times. See The Rotonde, which is a unique architectural metal structure, a railway roundhouse built between 1906 – 1910 by Gustave Eiffel behind the railway station. It houses around 50 locomotives and guided tours are offered. There is a 2 kilomètre elephant walking trail around the cobbled streets of the historic centre of Chambery, taking in the main sights. Pick up a map at the tourist office on 5 Bis Place Palais de Justice, 73000 Chambéry and follow the little brass signs. You can download a map of Chambery here which shows the main sights to see in the City. There is also a tourist train that takes you around the Old part of the town leaving from Place Saint Leger every hour. Why not pin this article for later! Praline Brioche? Yes, please! Not only does that sound delicious, but this destination looks like a place I want to add to my bucket list! Thank you! This great city is well worth adding to your list! And the brioche is delicious! Wow… the Fontaines des Éléphants looks enormous! I had no idea this existed and it looks to have been so beautifully made also. What a lovely focal point for the town, even if the locals do name it as they do!! The Elephants were a great surprise! If you’re in the area Chambery is worth visiting. This article provides the necessary details to any visitor planning to visit this beautiful location. Am totally sold out, and I will definitely put this on my travel list. Thanks for sharing. Thank you! Such a beautiful city, if you do get the chance to visit I think you will loved it. Chambery is a very nice place. I have never been, but the photos are wonderful. I envy you on such a great trip. The old town and the streets and alleys look beautiful, an area to while away hisho, especially if sampling delicious treats and enjoying lunch. I’m loving that elephant fountain, I adore elephants! 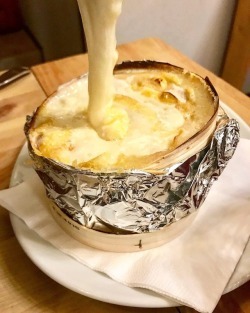 It was a really good surprise to find yet another really interesting city close by in the Savoie region and with good food! What a beautiful place! I’m pretty sure I’ll add a number 7: take a photo of every picturesque corner and all spots! 🙂 Thanks for the virtual tour! It is a beautiful place – so many photo opportunities! I love how cute this place looks and i love all the elephants!